University of North Georgia(UNG) sophomore Wakeitha Cunningham and junior Udis Calderon talk to representatives of different departments during the Careers in Student Affairs and Enrollment Management event Oct. 2 in the Robinson Ballroom on the Gainesville Campus. University of North Georgia (UNG) sophomore Wakeitha Cunningham knows she wants to work with students to help them achieve their dreams, but which profession will lend itself to accomplish that is still a mystery to her. Likewise, UNG junior Angellika Goss knows she loves the field of biology, but she is uncertain what kind of job she wants to pursue after graduation. 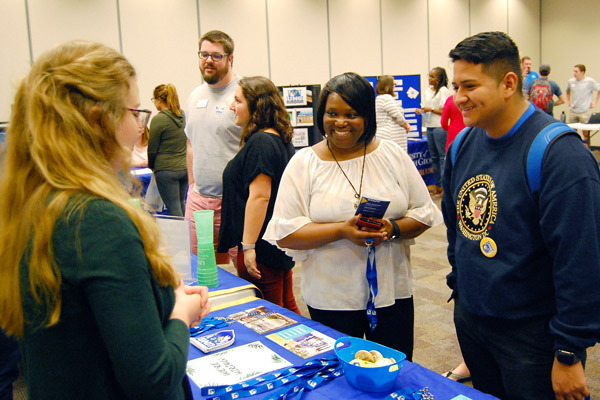 To find some guidance and possible answers, Cunningham and Goss were among students in attendance at the Careers in Student Affairs and Enrollment Management event Oct. 2 in the Robinson Ballroom on UNG's Gainesville Campus. The Oconee Campus held the same event on Oct. 2, too, while the Dahlonega Campus hosted the event Oct. 3. "This was very informative for me because this is exactly what I want to pursue," said Cunningham, who is majoring in business management and from Hartwell, Georgia. "I like to help people in the area they need help." Dr. Michelle Brown, assistant vice president of student affairs and enrollment management, said the event was staged like a job fair and open house to allow students to speak with staff members from the different departments under the Division of Student Affairs and Enrollment Management. Departments in the division include Admissions, Career Services, Dean of Students, Enrollment Management, Financial Aid, Registrar, Fraternity and Sorority Life, Multicultural Student Affairs, Leadership Programs, Orientation and Transition Programs, Residence Life, Student Counseling, Student Disability Services, Student Money Management Center, Student Involvement, Student Health Services, and Veteran and Adult Learner Programs. 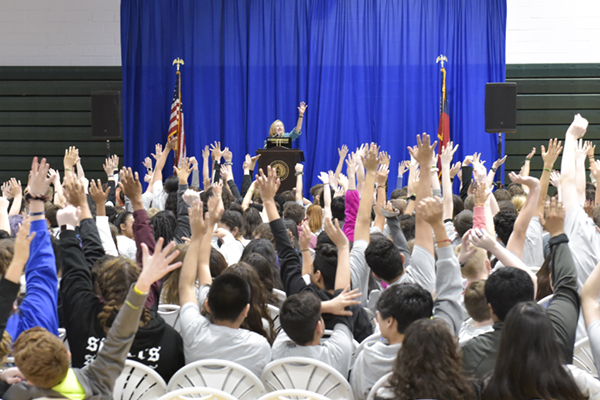 "We can also offer individuals the opportunity to shadow someone if they are interested in particular departments," said Brown, who also serves as dean of students on the Oconee Campus. Students also learned about the different pathways staffers took before entering the job market. Brown explained many staffers in Student Affairs come from a diverse background. "We have staffers who have degrees in English, criminal justice and marketing, to name a few," Brown said. 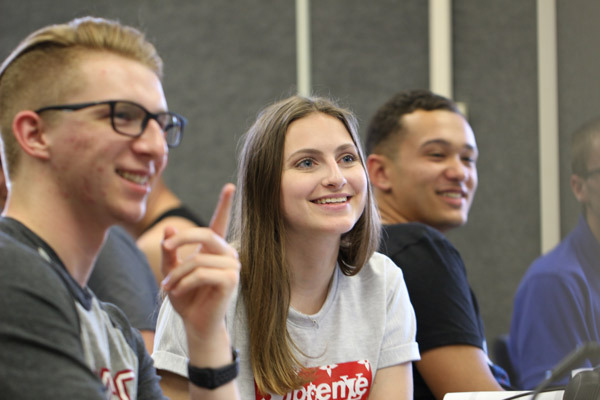 "We want our student body and university community to understand the various paths people can take to find their way to a career that best suits them." The career fair also is an opportunity to recruit students for positions that could be open in the future. 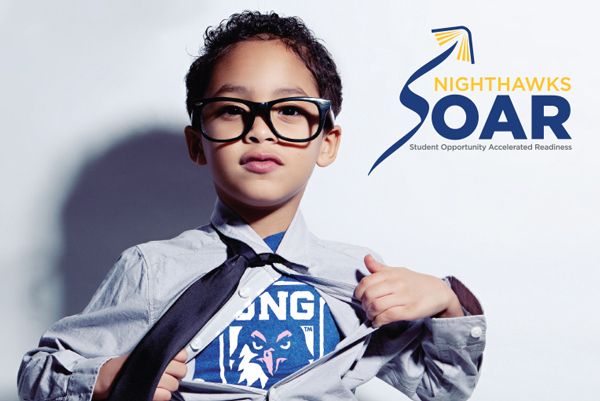 "We often recruit students who have had a wonderful experience at UNG to join our division," Brown said. 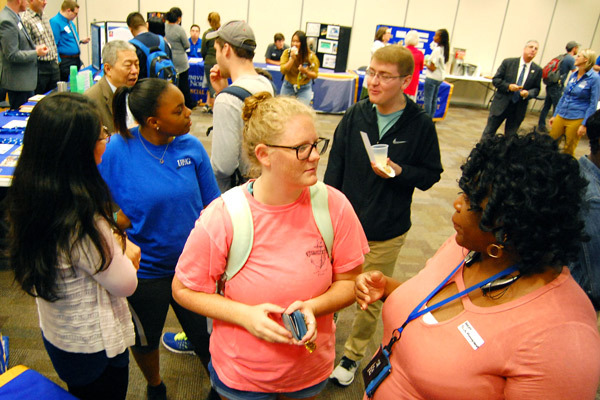 UNG students talk to staff who represent several departments, including financial aid, enrollment management and orientation and transitions, during the Careers in Student Affairs and Enrollment Management. 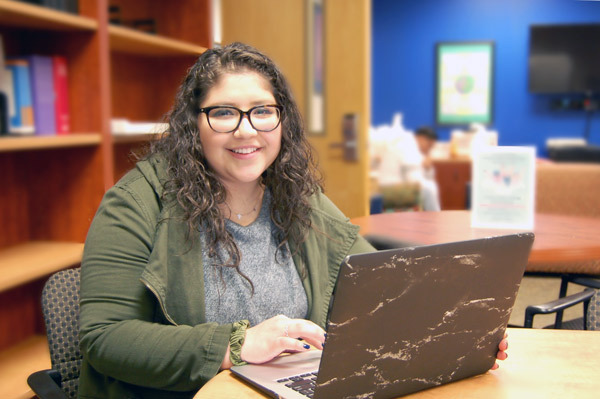 Sheila Sanchez, a sophomore majoring in psychology, said her conversations with employees from multiple departments helped her understand what they do. It has piqued her interested in the student affairs field. "I like working with people and finding options for them and letting them make informed decisions," said Sanchez, who is originally from Fort Lauderdale, Florida, and lives in Flowery Branch, Georgia. The Careers in Student Affairs and Enrollment Management event is not the only one the Professional Development Committee hosts. The committee plans three events in the spring: Professional Development Day in February, Student Worker Appreciation in April, and the End of the Year Extravaganza in May. Each event allows staff to mix and mingle with others from different departments and different campuses. "There is value in networking and expanding those relationships among the UNG community, and this is our opportunity to do so," Brown said.